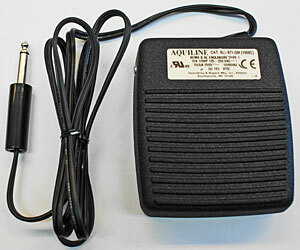 Heavy duty footswitch includes 5 foot cord with 1/4" male phono plug. Not for use with our power supplies. All our footswitches are made in the USA.